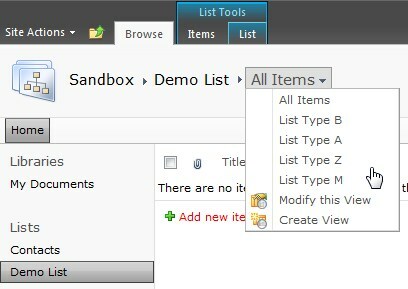 Have you ever wondered where is the setting to sort the List Views you created in Sharepoint? That drop down beside the list name that shows all the views available for that list. Well if you are looking for it then you can search and search forever until the new version of Sharepoint comes out and still wont find it, because there is no such setting available and it will always default to creation date. If you don’t know what I am talking about look at the image below and I guess that would explain. Based on that image, I had created the following in Chronological Order, but I want to sort it out alphabetically which makes more sense to the users. But how would I do that? First the quick and dirty way. 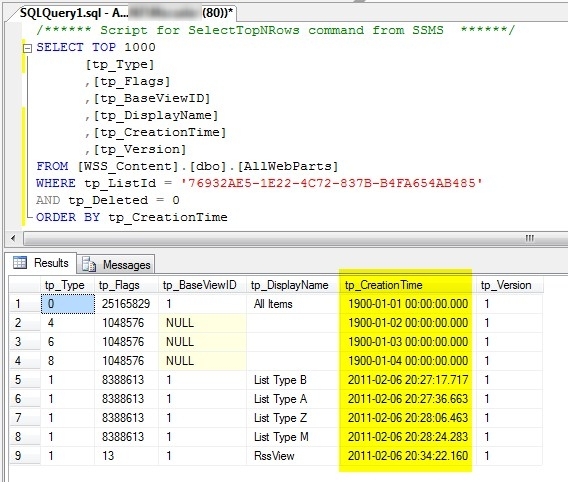 All you have to do is change the creation date of that View in SQL. 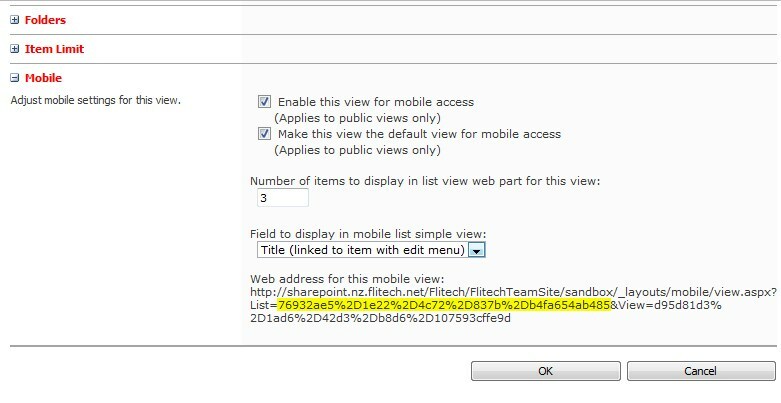 So get the List ID first by going to the list settings and you will see it either in the Address bar or on the Mobile section of the list properties. Take note of that. Now this will show you all the views on that list. And you will notice it has the same order in that drop down. 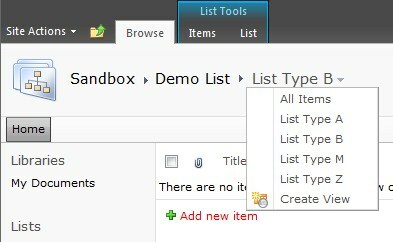 From here you can edit the dates to your liking to show the Alphabetical sorting that you need. This is a bit of hack and a dirty version of solving the problem, it may also not be supported by Microsoft. But if you want the proper solution then move on. Now since you moved on, I guess you are interested in getting the right solution which is by using Sharepoint Powershell. So we will be doing the same thing above but in a proper manner as we wont go editing dates one by one but we will be cloning each View, sort them, then delete the old items and recreate according to sort order. So in the database it’s still sorted by Date Created but since we are creating it in an alphabetical fashion then it will show as such. Now I guess you will be using this a lot so we have to make this like an executable file so you can reuse on any site / team sites and lists that you may have. So lets start by creating out powershell script, copy and paste that code below and save it as Sort.ps1. $TeamSitePrompt = Read-Host "What is the Team Site URL (i.e. 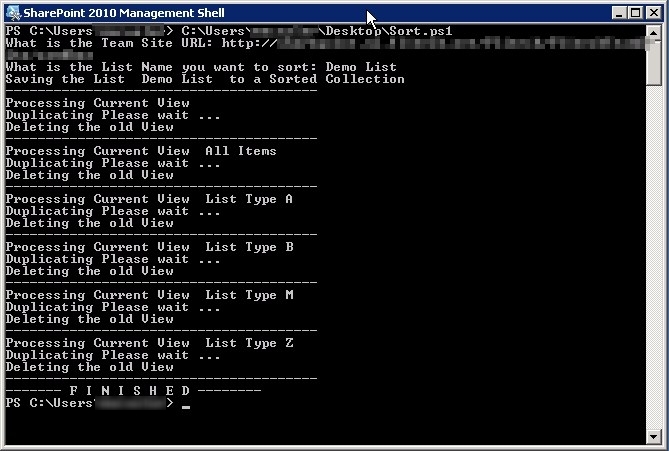 http://test.com/teamsite)"
$ListNamePrompt = Read-Host "What is the List Name you want to sort"
Write-Host "Saving the List " $ListNamePrompt " to a Sorted Collection"
Write-Host "Duplicating Please wait ..."
Write-Host "Deleting the old View"
#Set $ErrorActionPreference back to "Continue"
Write-Host "------- F I N I S H E D --------"
Now you created the script copy it over to you Sharepoint server and run the powershell script by going to Sharepoint 2010 Management Shell. Follow the prompts. 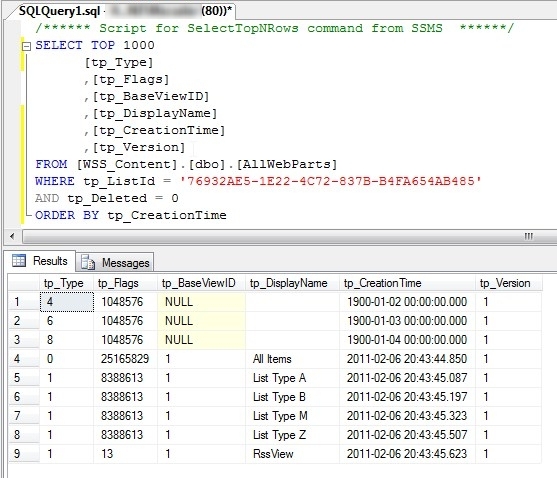 Once that’s done then all your views are sorted, to double-check run again your SQL Query above and see whats recorded on the database. Exception calling “Add” with “2” argument(s): “Key cannot be null. can you do this instead? Can you give me the whole script so I can properly debug it. I’m trying to recall off the top of my head what the proper syntax is, but it’s difficult since I don’t have the script in front of me right now. Where did you add this line? I’m getting the same error message as mentioned here. I suppose I should have specified that it was just after the declaration of $Views = $List.Views that I put the change since that’s actually the question that you asked. Exception calling “Add” with “2″ argument(s): “Item has already been added. Key cannot be null. I added the line above to write host currentviewitem but nothing shows. Why does it think the arguments are null?